The Rural and Industrial Design and Building Association (RIDBA) launched the RIDBA Building Awards, to recognise innovation and excellence amongst members in the industrial and agricultural buildings industry. After receiving a record number of entries, RIDBA is pleased to announce the shortlisted projects for the awards this year. Thank you to all RIDBA members who took the time to enter their projects in the Building Awards 2019. Congratulations to all shortlisted projects. 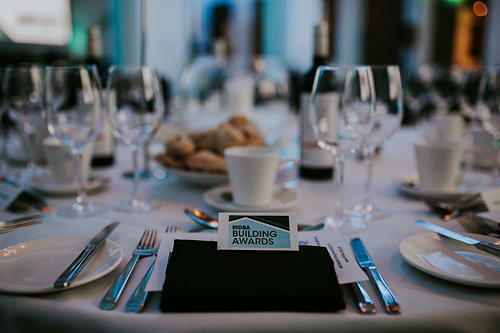 Winners will be announced at the Awards ceremony on Friday 15 March 2019, at the De Vere East Midlands Conference Centre in Nottingham. RIDBA would like to take this opportunity to thank its sponsors for their support in ensuring that the Awards are a standout event: Joseph Ash, Kingspan, AJN Steelstock, Marley Eternit, and Steadmans. RIDBA would also like to thank Joseph Ash as the official drinks sponsor for the pre-Awards drinks reception, as well as Farming Monthly, official media partner for the RIDBA Building Awards 2019. The Dojima Sake Brewery - M D Anthony Ltd.
Primo Manufacturing / Challs International - A.C. Bacon Engineering Ltd.
Timmins Engineering New HQ - Timmins Engineering & Construction Ltd.
EA & M Tasker - Timmins Engineering & Construction Ltd.
Kingsley Beverage, Refrigeration Plant Building - M D Anthony Ltd. Folly Farm - Shufflebottom Ltd.
Garage - AJ Lowther and Son Ltd.
Hampton Court Flower Show 2018 - A.C. Bacon Engineering Ltd. The Orangery, Rushton Hall - M D Anthony Ltd. The Barns - M D Anthony Ltd.
Y House - M D Anthony Ltd.
Arden Farms - Timmins Engineering & Construction Ltd.
Saxelbye Top Farm - S&A Fabrications Ltd.
Welburn Hall Farm Cattle Buildings - S&A Fabrications Ltd.
New Grain Store & Dryer for Buckminster Farms Ltd. - A.C. Bacon Engineering Ltd.
Cedar Hall - A.C. Bacon Engineering Ltd.
Chelmsford Ambulance Station - A.C. Bacon Engineering Ltd.
Rosecroft Primary School - A.C. Bacon Engineering Ltd.
Could You Benefit from Scotland’s AECS Scheme?